Evelyn Arroyo-Maultsby also said other jurors’ feelings about the case are mixed and she believes the result may be a hung jury. Arroyo-Maultsby made the comments to a few reporters outside the federal courthouse in Newark, moments after leaving the trial to begin a previously-scheduled vacation in the Bahamas. Two of the reporters shared the audio with POLITICO. “It was very stressful,” said Arroyo-Maultsby, who, according to her Facebook page, lives in Hillside and is a revenue accounting analyst for NJ Transit. 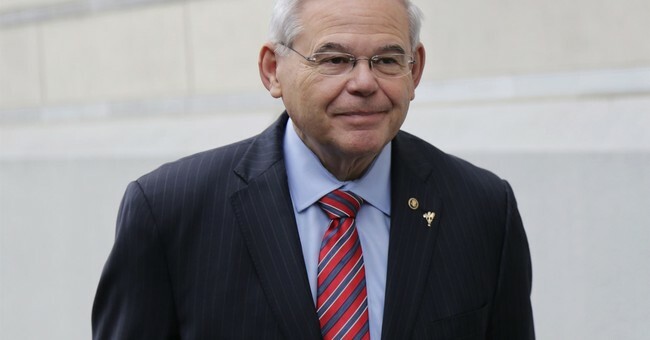 “I feel like the government was very corrupted, not that Menendez was. That they were, to me, railroading him. This is how I feel. Personally, he’s not guilty on all counts. "I don’t think he did anything wrong,” she said. Arroyo-Maultsby said deliberations have been tense at times. The Bergen Record added that she said one juror is an “adamant holdout,” while three or four are leaning towards conviction. The jury won’t be deliberating since its Veterans Day. Deliberations will resume Monday.